When it comes to looking for a cheap getaway, Europe has some of the best options for budget savvy travelers. Away from the big and expensive cities like London, Paris and Madrid are some stunning locations that offer travelers great experiences in wonderful, cultural settings fro a fraction of the cost that you would pay in the continent’s more famous cities. Here is our break down of 5 of Europe’s best cheap and cheerful locations to visit. Somewhat surprisingly, Berlin is a pretty cheap city to go to for a getaway, despite being the capital of one of Europe’s biggest nations, compared to most, Berlin offers you great value for money. All aspects of a trip to Berlin can be done on the cheap, from hotel rooms and accommodation to restaurant and street food and there are also lots of things going on for free from art museums to music events. If you’re looking for classic European beauty then Warsaw will give you exactly that at great value. Flights to Warsaw from all over Europe are very well priced and once you are there you can enjoy food, drink and hotel prices that are some of the cheapest in Europe and the quality is not lacking. The city combines wonderful gothic architecture with modern skyscrapers, its restored Old Town is the perfect place to wander on an evening and the city has a wonderfully relaxed pace of life. 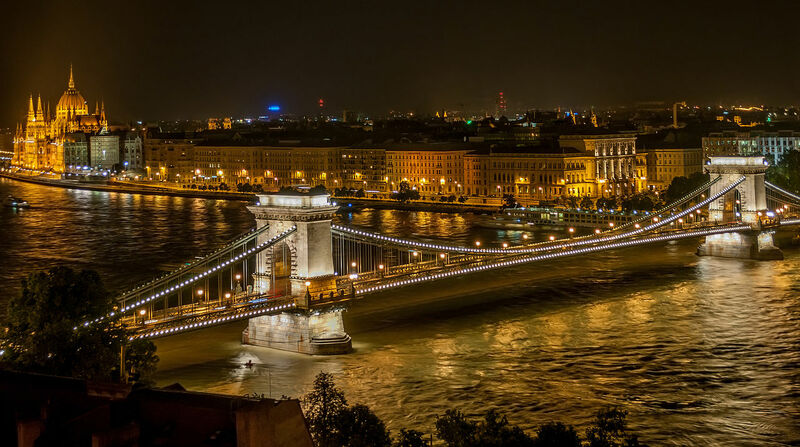 Arguably one of Europe’s most beautiful cities, sitting on the sprawling River Danube, Budapest is separated into the two main parts of the city, Buda and Pest, by a beautiful 18th Century chain bridge. Budapest is perfect for art lovers and classical music fans, it’s theatre is a World famous opera haven and its museums are dedicated to classic paintings from the world over. Furthermore, Budapest is one of Europe’s cheapest cities which means that you can enjoy all of this whilst sticking to your budget. Kiev regularly tops the list for the cheapest city in Europe, the local food is delicious and extraordinarily well priced, you can easily eat all day for less than $10 and be very full up. Accommodation comes in at an average of $30 per night and ether are some luxury hotels that cost around $50 per night, incredible prices for such a beautiful place. Kiev sees some levels of tourism but not much which means that ew of the areas become busy with anyone other than locals. Top sights to see here are the National Chernobyl Museum, Museum of One Street, Golosiyivsky Park and the World Heritage site St. Sofia Cathedral. Contrary to what many think, traveling through Europe can be very cheap and there are many more cities which offer you plenty, at incredibly low rates. It goes without saying that if you head to the more popular cities then you will spend more money, but don’t think that some of the smaller, cheaper cities can’t still offer you a great time with plenty to do and see.